The workplace gives you an overview of today’s tasks, newly created tasks and whatever else is happening in your projects. The project calendar helps you organize your day and prioritize your tasks. You can quickly drag and drop your tasks into the calendar. The workplace gives you all the information you need to start your day well prepared. 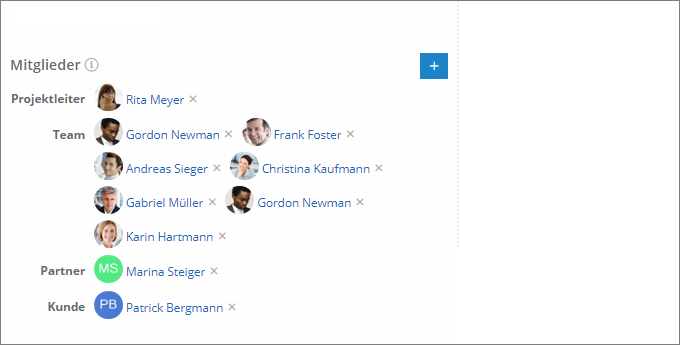 Gain insights into the current status of your projects and keep track of those key figures that are important to you. Monitor key data and developments at a glance with visual dashboards. Monitor expenses, returns and deadlines of your project portfolio effortlessly on the web. 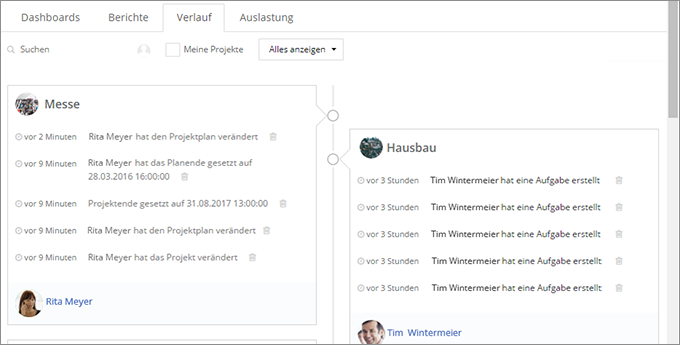 The project history displays important changes that were made to your projects chronologically and across all projects. This feature makes it really easy for you to catch up on the latest developments in your project, e.g. after a vacation. 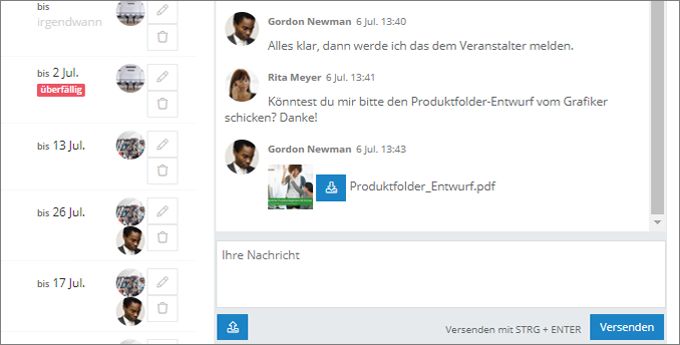 Als zentrale, allen Berechtigten zugängliche Kommunikationsplattform sorgt InLoox Web App für echtzeit-aktuelle Projektinformationen. 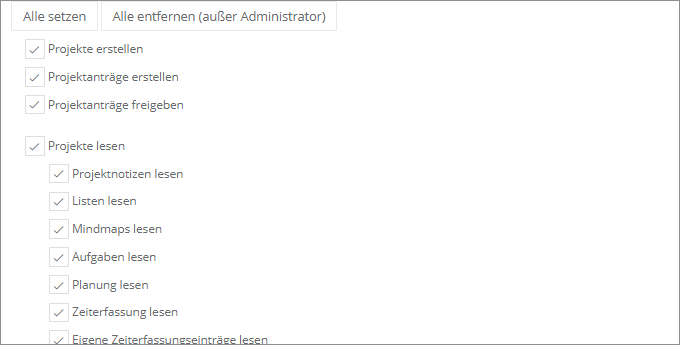 Führen Sie alle Ihre Projekte und die zugehörigen Informationen in einem System zusammen und haben Sie so wichtige Daten immer parat. 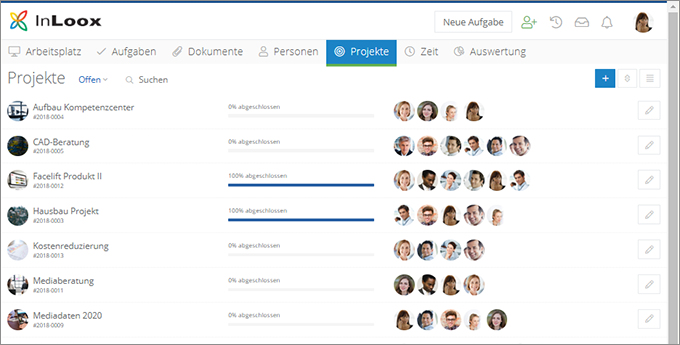 With InLoox Web App, you create, assign and organize team tasks without having to create a project plan. Automatic notifications make sure that you don’t miss out on any information on new or due tasks. Ranging from your personal time management to task management within the team, you will always have an overview of what to do next. 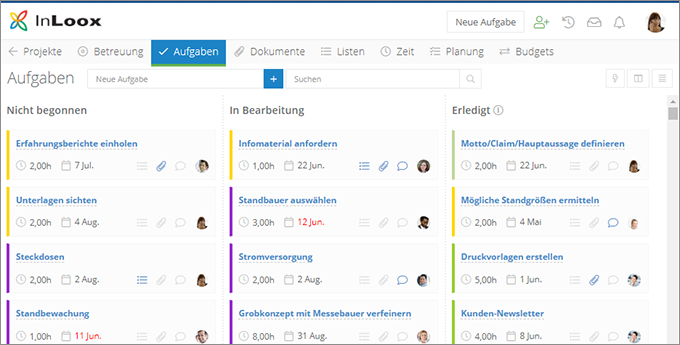 Organize your tasks in a virtual Kanban board and work agile. Change the names and numbers of the columns according to your needs. Use drag & drop to adjust the status of a task. 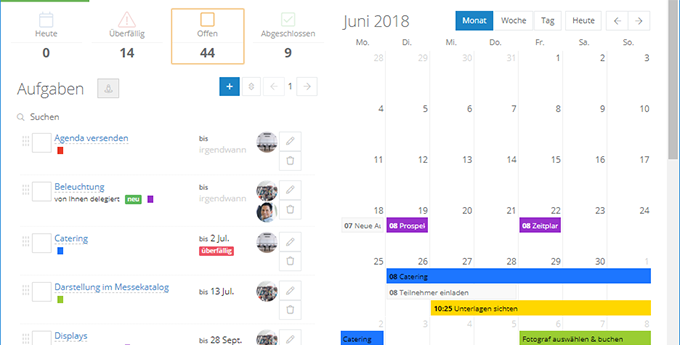 All team members see at a glance which tasks are pending, which ones are currently in progress and which ones are already done. Tasks can be easily assigned to an activity in the project time planning. They are in synch with the project schedule and the progress in the project is updated automatically as soon as a work package is completed. Set up individual to-do or check lists for your projects and use them for your self-management and project management. 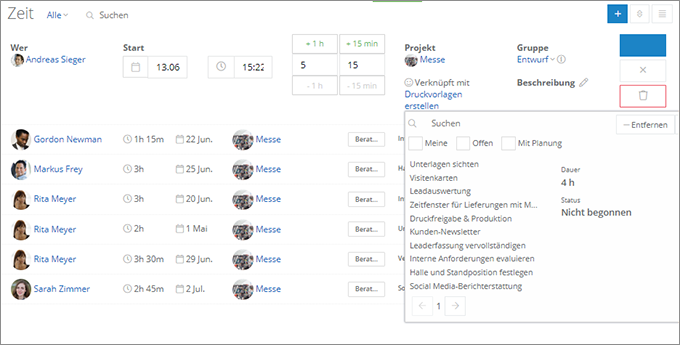 Link your lists to various project elements e.g. documents or tasks. You can quickly integrate your classic to-do list into a project and it will never again go missing among your piles on your desk. InLoox Web App reminds you of upcoming or due tasks and notifies you of new messages – if you want that. This keeps you from missing important tasks in your projects and helps you to be at the right place, at the right time. Communicate with your team members and project partners. Use @-references and leave comments on project elements. This makes it easy to stay in touch with your team, no matter where you are – without any additional calls, meetings or e-mails. 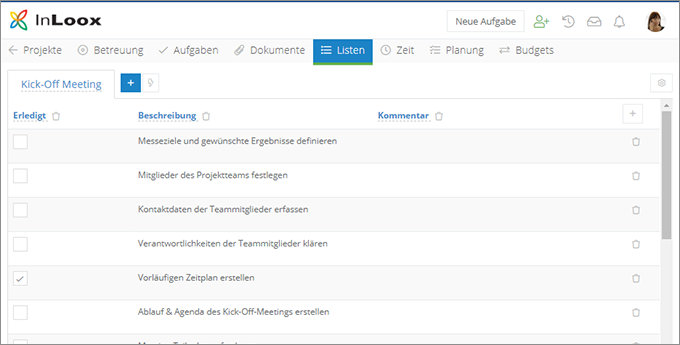 Add comments to your project and exchange important information with other team members. The saved history makes it easy to retrace the exchange of information. The stream keeps you up to date. 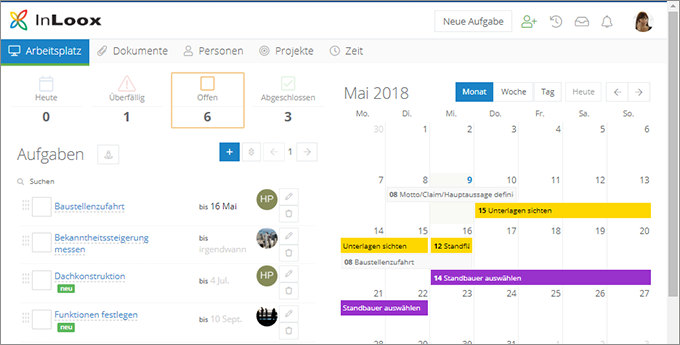 This new feature combines new messages, reminders and notifications on new tasks or documents that are relevant to you - never again miss important project information. 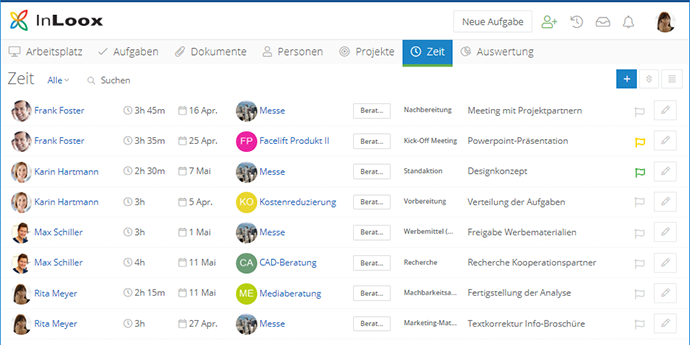 InLoox Web App facilitates planning and coordinating your projects. 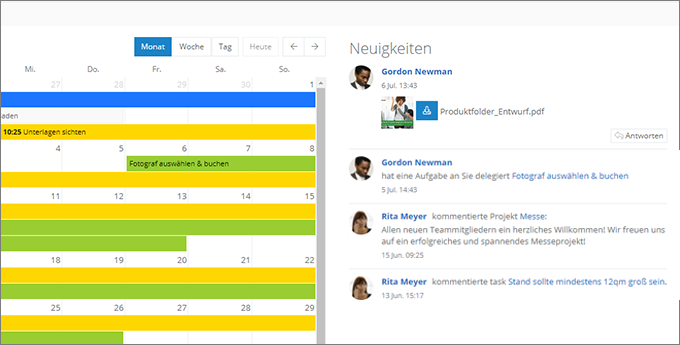 Get a visual overview of upcoming tasks, milestones and deadlines. Gain better planning reliability with InLoox Web App with reduced administrative effort. 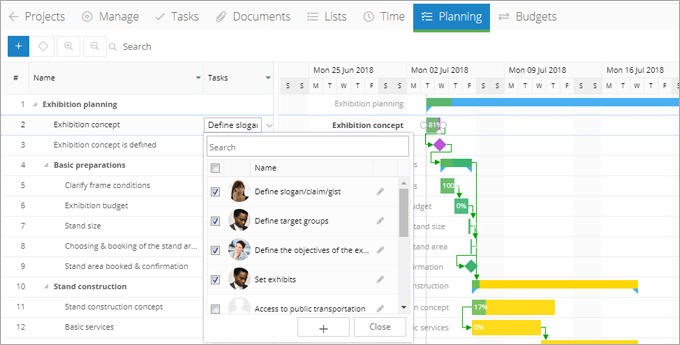 InLoox Web App adapts flexibly to the project planning methods you use and helps you create even complex project plans. 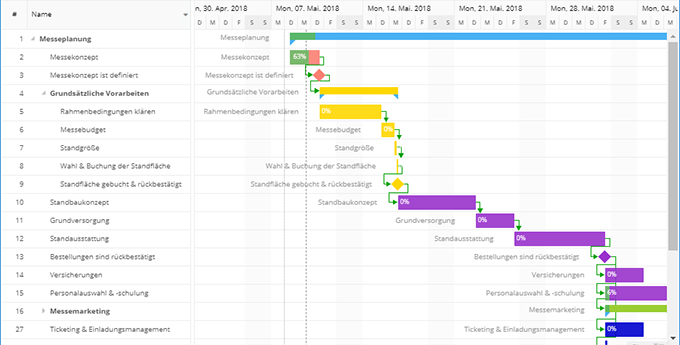 Incorporate planning chains by using dependencies, constraints and different calendars and see bottlenecks and deadlines at a glance. 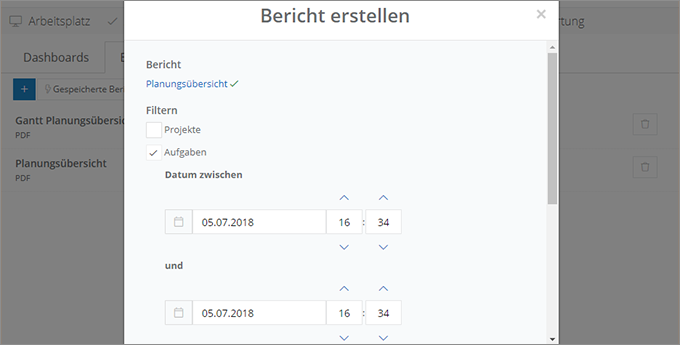 Completed tasks are automatically updated in the project plan. The project manager can see without having to ask for feedback whether all team members involved in an activity have fulfilled their tasks and take appropriate measures if necessary. 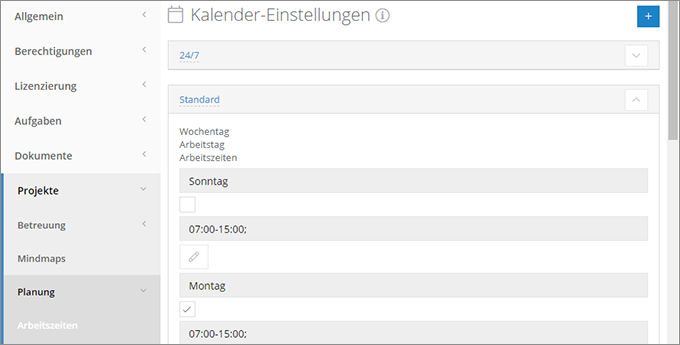 Create working time calendars in InLoox Web App according to your individual needs. Incorporate different working time models, such as shift work or part-time work and enter working times, holidays and duration of work at different company locations into InLoox Web App. Is your team scattered across different time zones? 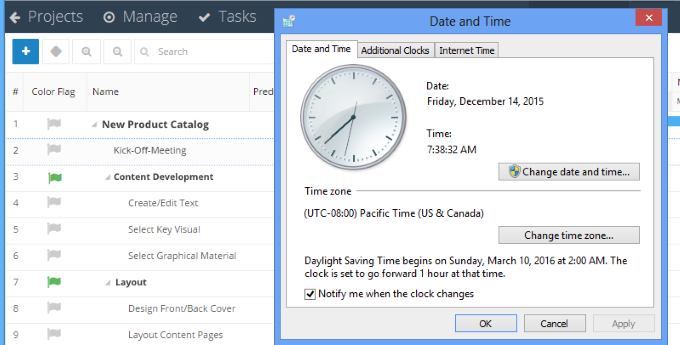 You no longer have to convert your project deadlines into different time zones, as InLoox Web App automatically factors in the time zone of the device that you are currently working on. Forget tedious typing when keeping track of individual working times. InLoox Web App facilitates the consistent and complete documentation of activities for purposes such as billing. Avoid media breaks, duplications, and unnecessary administrative work. 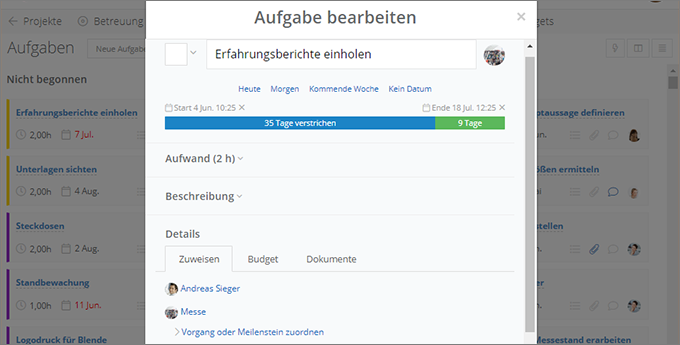 Project teams are able to post costs and working hours in a very simple way. The system assigns the effort to the project plan automatically and stores a separate cost record. Recording actual hours couldn’t be easier. 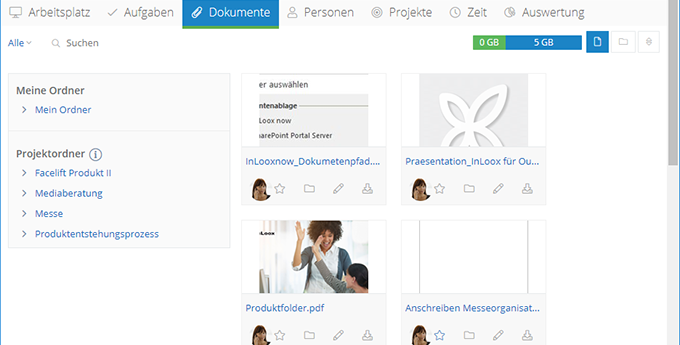 InLoox Web App organizes your personal and your project documents. Authorized users have access to the current status of the project documentation via the Internet and can also store personal documents. 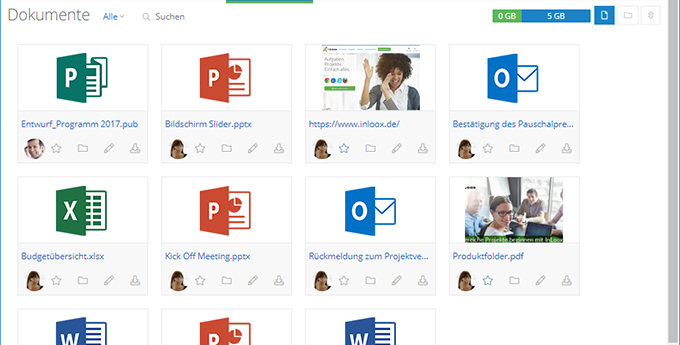 Beyond that they can organize images, Office documents and other files via their Web browser and save them in central project folders. Documents can also be commented and marked with a processing status. InLoox Web App supports visual hierarchies. 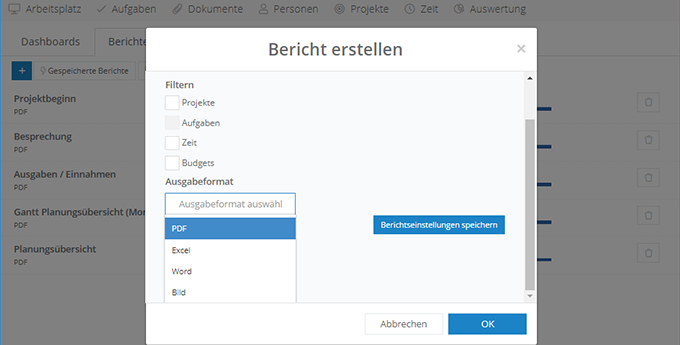 Switch from a simple document overview to the advanced mode which offers a clear folder structure. InLoox Web App interconnects project plans, time tracking entries and documents. Create project documents directly out of the time planning or time tracking or establish a shortcut to a stored document. 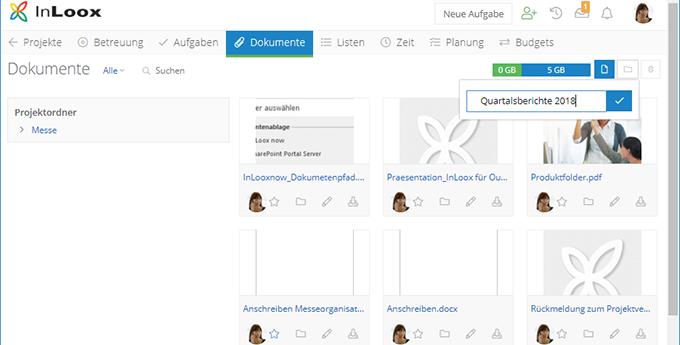 InLoox Web App stores newly created documents automatically in the document storage. So you have a central collection of all project documents and at the same time a complete overview of the elements in InLoox Web App that the respective document is linked to. 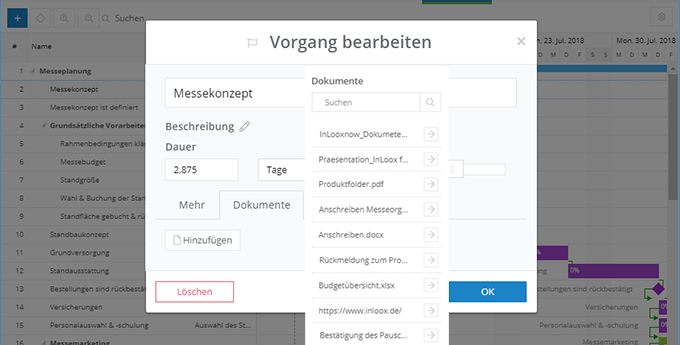 InLoox Web App saves storage space and avoids duplicate records simultaneously. Save your documents conveniently on your file server, your SharePoint Server or in the online storage if you use InLoox now! 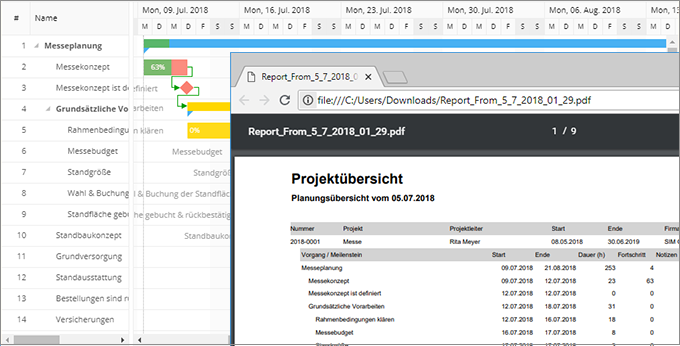 The highly flexible report designer issues reports such as project summaries, budget lists, expense reports and plan/actual comparisons in a variety of file formats like HTML, PDF, JPG and many more. 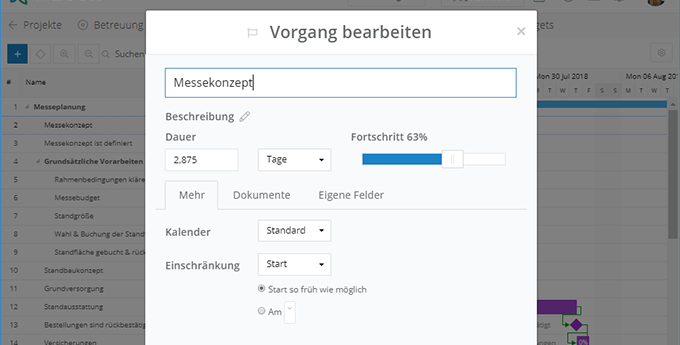 You decide on the level of detail of the reports: the report designer issues reports e.g. by single activities, whole projects or for the whole company. 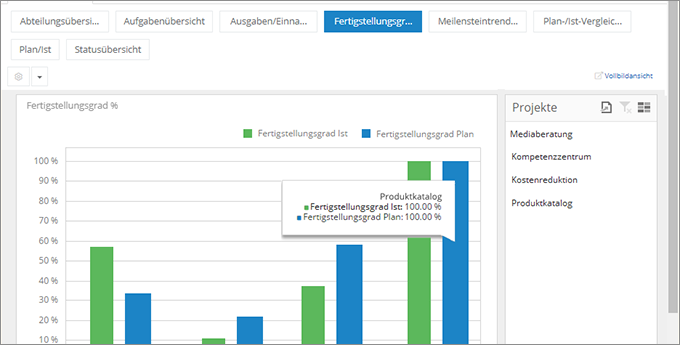 Consolidation, aggregating and filtering are available for detailed reports and only for authorized users. You have a wide range of different types and templates like schedules, budget overviews, plan-actual comparisons, cross-projects time sheets, memos, status reports, cover letters, billing and offer templates. From the first moment you have the right tool for your daily project routine. The well-proven role and account-based security architecture allows you to assign permissions without much administrative effort. Responsibilities are thus clearly defined, at the same time making sure that only authorized users gain access to sensitive data. 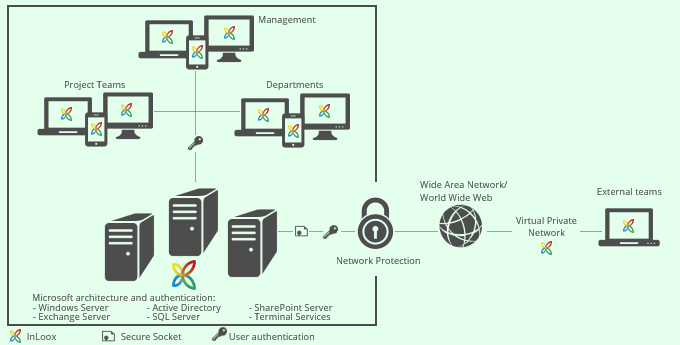 Role permissions are defined according to the function carried out by each person involved in the project, be it as project manager, team member, customer, partner or any other activity. 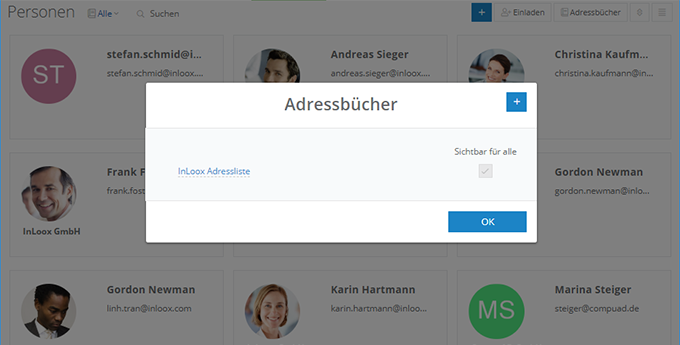 InLoox PM Web App then assigns the correct permission to each person assuming a given role. User account oriented permissions apply to all projects. This allows, for example, company management to look at all current and concluded projects, whereas practical responsibility remains in the hands of the project manager and his or her team. InLoox Web App accesses the Active Directory and Exchange accounts so, that the user accounts are created and stored only once. The inclusion of freelance employees, trainees or suppliers is no problem. The InLoox authorization master record is finely structured and freely definable. The system allows the assignment of specific read-only or update permissions, for example to separate those for planning elements from those for the recording of activities or budgeting. 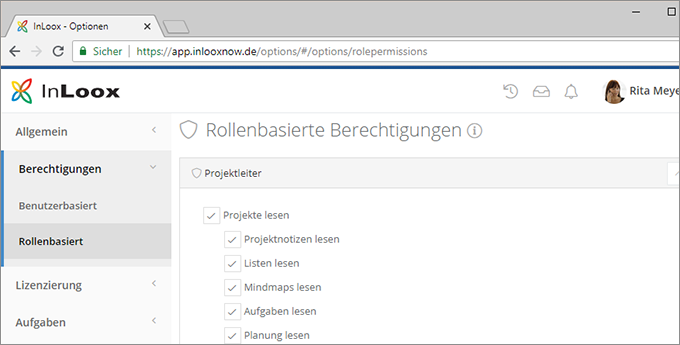 InLoox PM Web App automatically assumes all of the permissions configured on the server. 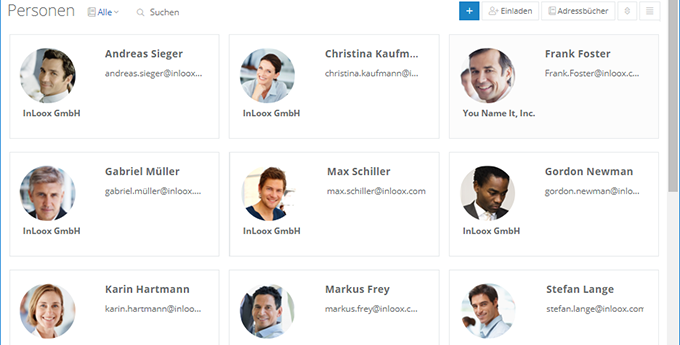 The InLoox contact manager gives users the possibility of creating an “InLoox contact” for each project member. So, external project partners and stakeholders without their own user account in the corporate network are able to logon to the project management platform. An Active Directory or Exchange account is no longer necessary to have full access to InLoox Web App. 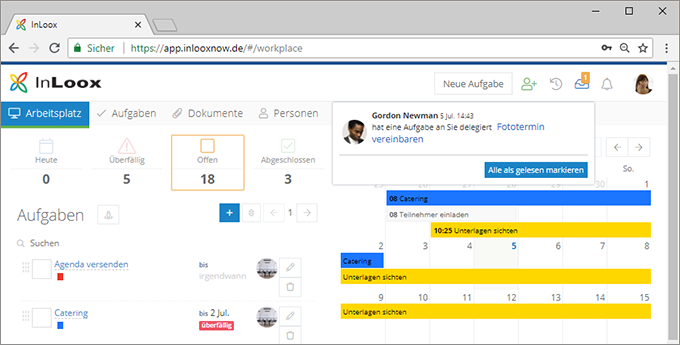 InLoox Web App enables project managers to provide InLoox contacts with the necessary authorizations. The InLoox contact can be, for example, allocated as a resource in a project and be notified of upcoming project tasks. 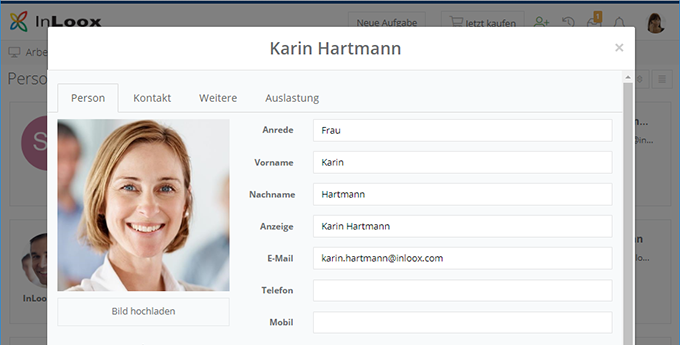 InLoox Web App offers a contact view and InLoox address books that allow users to manage InLoox contacts in an easy and comfortable way. 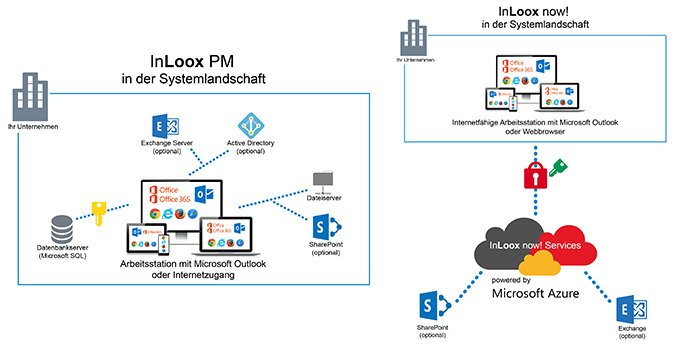 InLoox PM Web App can thereby be used with full functionality without Microsoft Exchange Server and can, also, be combined with alternative groupware servers. You have the choice: You can decide whether you want to install InLoox PM Web App in your own IT infrastructure or use it with InLoox now! as a cloud-based service. InLoox now! offers a reliable, comfortable project and server infrastructure. You can start your first project within just a few minutes without concerning yourself with infrastructure configuration and maintenance. InLoox Web App blends into the IT environment of your company. The user system requirements are low. InLoox Web App supports in case of an on-premise installation a number of database systems of widely varying performance levels. If you use InLoox Web App with InLoox now! as a cloud-based service you only need internet access, a compatible web browser and your access details. 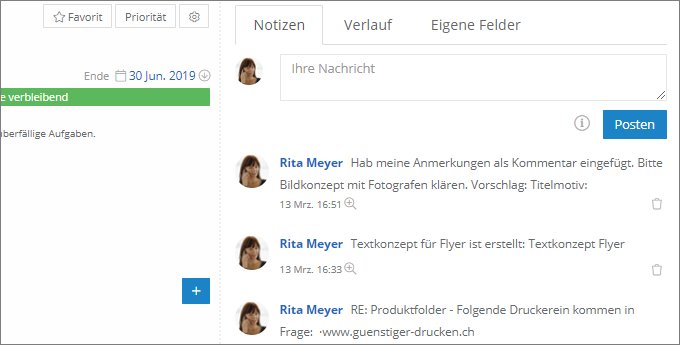 InLoox Web App Features - InLoox • Copyright 1999-2019 © InLoox GmbH. Tous droits réservés.